While spending days and nights in the booths of Bruno’s Tavern and Howard-Tilton Memorial Library, most students hope that their time in college will guide them on a clear path toward the future they want. The future can change as time and experiences go by, as Celeste Meyer’s did during her junior year. Meyer was preparing to apply to physical therapy school when she joined a Bible study led by a Fellowship of Catholic University Students, or FOCUS, missionary that she says had a lasting impact on her. “When I encountered the freedom of being fully known and loved by God, there was such a joy that came with this truth,” Meyer said. 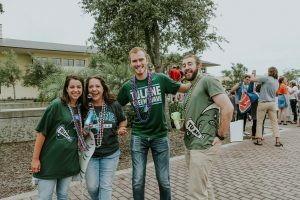 Meyer was inspired to change her path and now works as a missionary for FOCUS on Tulane’s campus. She and three other missionaries on campus — Collin McClure, Josh Ivie and Meagan Richardson — can be found in the Catholic Center and around campus. Courtesy of Celeste Meyer. FOCUS missionaries lead Bible studies, form relationships with students and guide students to be disciples of Christ. They lead Bible studies, form relationships with students and guide students to be disciples of Christ. Richardson, one of the other FOCUS missionaries at Tulane, was also inspired to become a missionary during Bible study in college. She said she finds that the relationship she has formed with her faith is a source of deep happiness. “Having a true friendship with Christ gave me a profound sense of freedom and joy that I could not find anywhere else,” Richardson said. Richardson seeks to share this with others in her work. 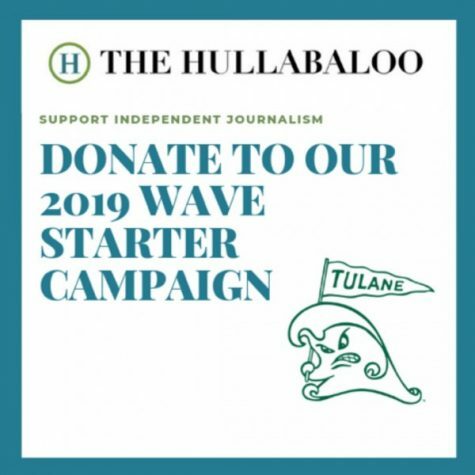 She worries that Tulane’s high pressure, work-hard play-hard environment can make students feel anxious that they are not achieving enough. This, she said, can lead students to feel isolated and without meaningful relationships. She said she has been told by many students that it can be difficult to find a community on campus where they feel they belong. 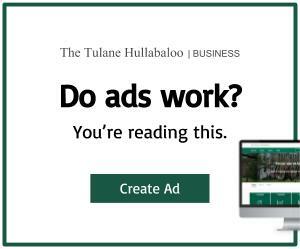 Meyer shares these concerns, saying that while she admires the ambition and work ethic that Tulane students possess, these same qualities can be harmful to them, and leave them chasing fulfillment without ever catching it. “This intense culture of having to be the best leaves many people I know feeling surrounded by the competition, yet utterly alone and unknown,” Meyer said. FOCUS missionaries seek to remedy these feelings through their work. “[Our work] gives students the tools they need to learn how to invest deeply in one another and form relationships that call each other to a higher standard and to a greater sense of freedom and happiness, which is ultimately found in the person of Jesus Christ and His Church,” Richardson said.